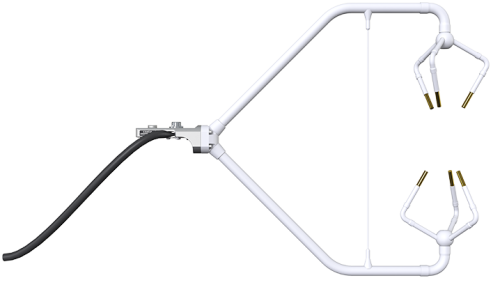 The CSAT3A sonic anemometer head is similar to the sensor head from the CSAT3 sonic anemometer, but its cable is modified to connect to the EC100 electronics. 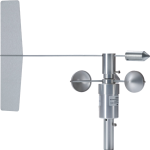 It is used as part of the EC150 open-path analyzer and the CPEC200 closed-path eddy-covariance system. The CSAT3A is an optional component of an EC150 open-path or EC155 closed-path CO2/H2O gas analyzer. 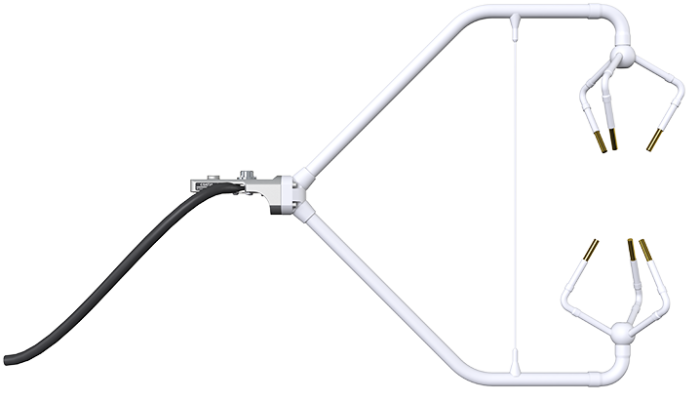 It attaches to a common mounting bracket and connects to the gas analyzer's EC100 electronics module. Can the CSAT3 give a time stamp with each measurement value? No. The CSAT3 is a sensor. Time stamps are assigned to the CSAT3 data by the data acquisition system—typically a Campbell Scientific data logger or PC. Are there any mounting options for the CSAT3 that lend themselves to frequent repositioning? Campbell Scientific does not offer any mounting booms or hardware that enable easy and frequent positioning of the CSAT3 sensor head. This type of hardware must be provided by the user.